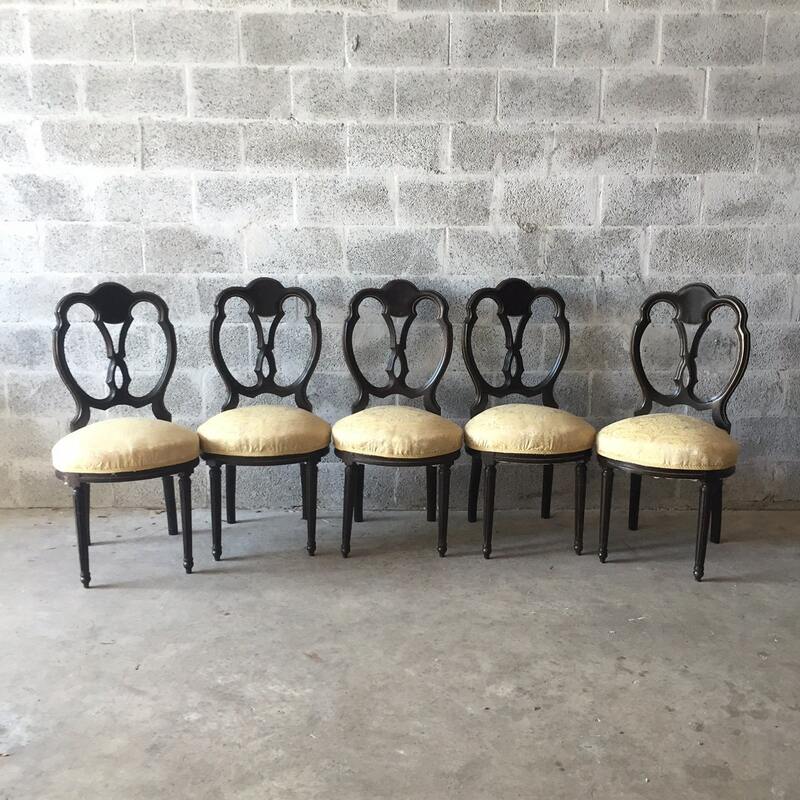 Stunning set of 5 dining chairs refinished in dark brown color. 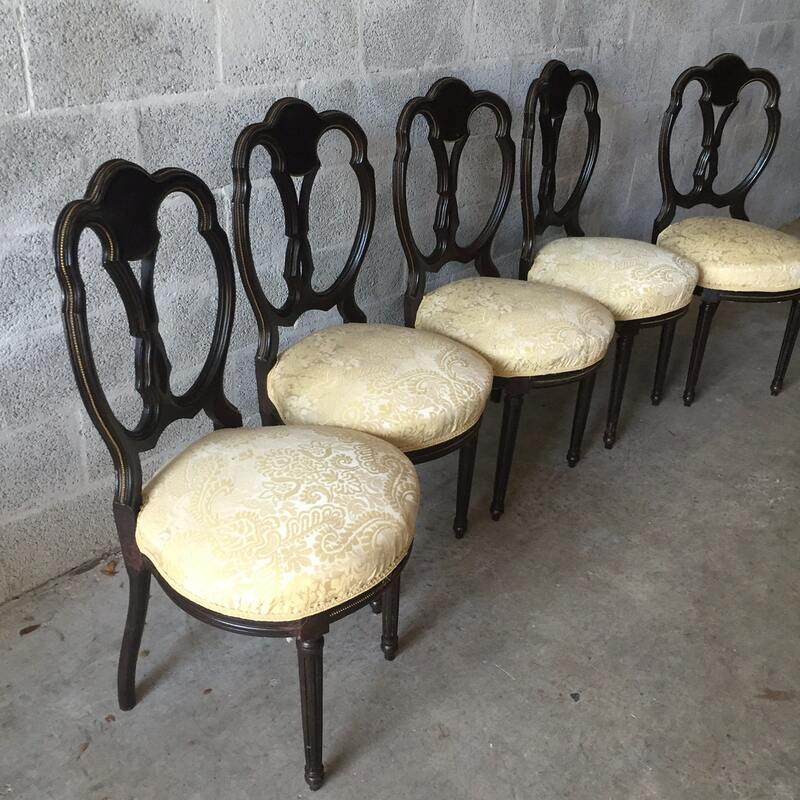 These are French purchased at an estate sale. 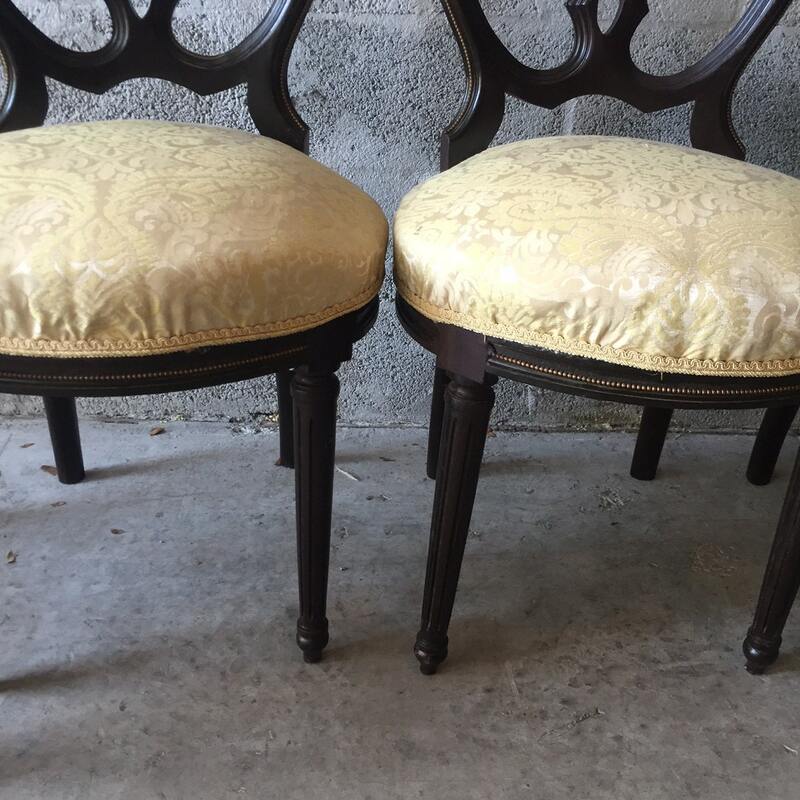 The chairs were reupholster using a yellow gold beige fabric. 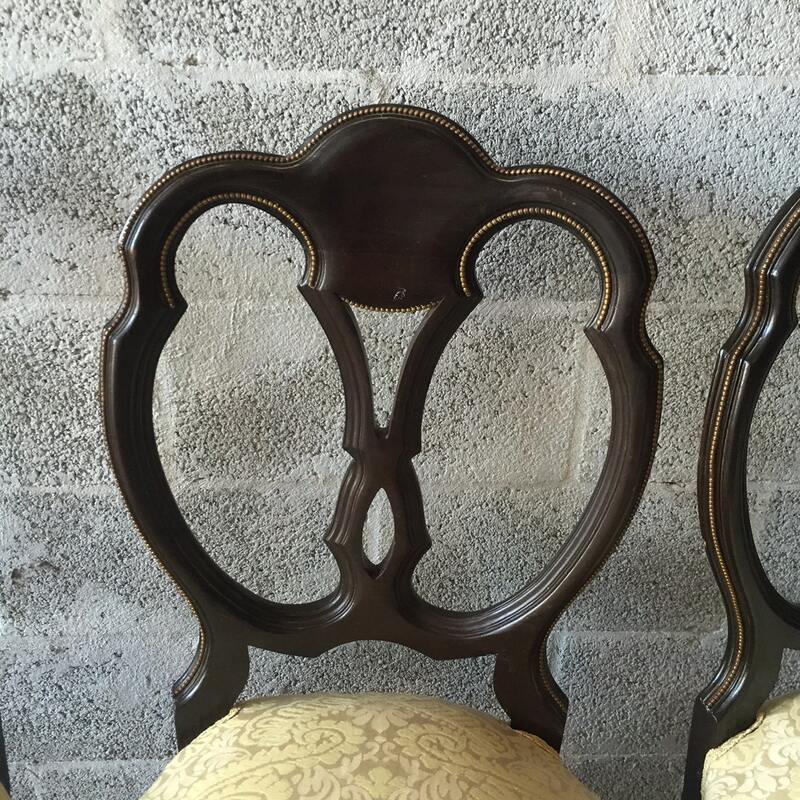 The chairs are comfortable and for every day use. We have 5 ready to ship! Dimension Chair: 19"W x 39.5"H x 21"D. Floor to seat 20"
Shipping a chair is approx $140-$200 and a sofa is about $250-$500. 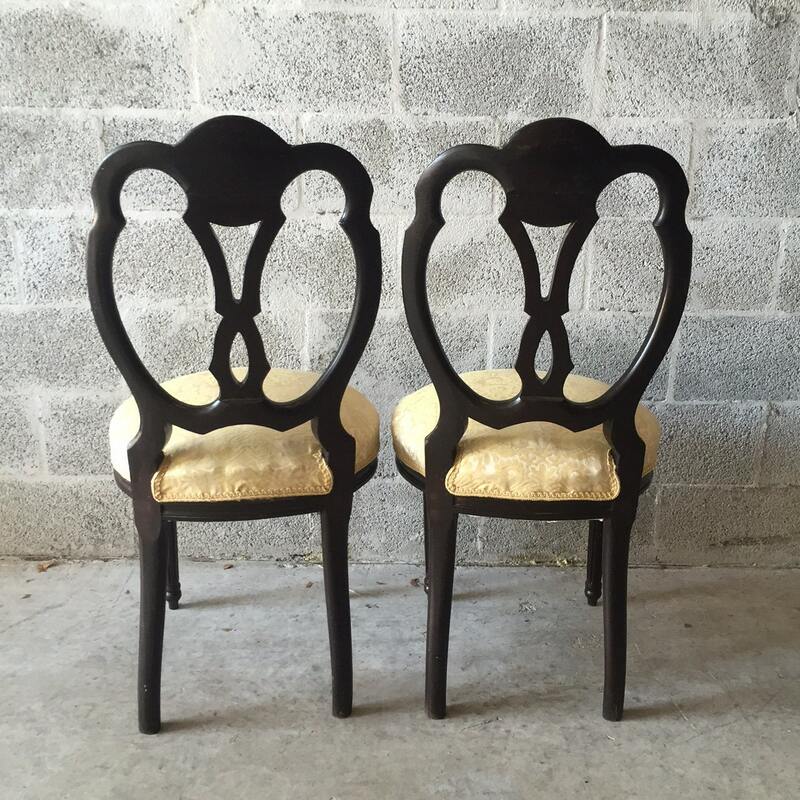 Shipping a 3 piece set is about $350-$500. Shipping a 5 piece set is about $400-$600. Please contact me for additional shipping questions.